Courtesy graphic The debut of the Sun Valley Harvest: A Gathering of Film is the first event to celebrate the 75th Sun Valley Resort winter season. Though many Wood River Valley residents and visitors may have felt gypped by this year's short summer, it's time to start thinking snow. Sun Valley Resort is taking winter very seriously for its 2010-11 season. To kick off the resort's 75th winter season, a weekend of ski and snow sport movies, athletes and parties will all be part of the first Sun Valley Harvest: A Gathering of Film. The film festival and gathering will take place Friday, Oct. 22, and Saturday, Oct. 23. Friday events will begin at Apple's Bar and Grill in Warm Springs at 4:30 p.m. with film athletes and screenings of short films submitted to the festival. At 7 p.m., Teton Gravity Research's "Light the Wick" will screen, and later inside Apple's Forum's "F*** It" will show. A $10 admission will include an after party sponsored by Red Bull with DJ music will take place at Whiskey Jacques' in Ketchum at 9:30 p.m. Expect to see great ski and snowboard athletes at Apple's, including Hailey native Lynsey Dyer. "We had almost a dozen film entries for the first film festival," festival organizer Mike Fitzpatrick said. "The Hemingway school kids and independent filmmakers put together great films." On Saturday, the festival will kick into high gear starting at 2 p.m. with film screenings that will include "Tailgate Alaska," an expo, athlete autograph sessions and other events at the Sun Valley Resort Opera House and the Sun Valley Resort Boiler Room. In addition, the Opera House will have screening at 5 p.m. of a film shoot by Smith, which took place in the Stanley Basin. Filmmaker Stan Evans will premiere "Say My Name," an all-girls ski movie featuring X-Games gold medalist Grete Eliasson at 6 p.m.
"'Say My Name' is really cool," Fitzpatrick said. "It shows extreme female skiers." At 7:30 p.m., an award ceremony for the short film submissions for the festival will be followed by the premiere of Level 1's "Eye Trip." 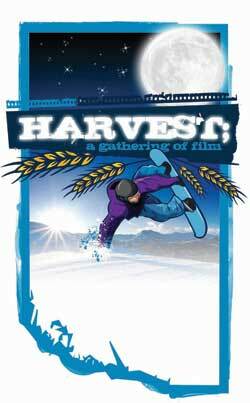 The film will include big air sessions filmed at Baldy last year with Hank Minor as a narrator. Fitzpatrick said Josh Berman from Level 1 will bring several athletes to the event, including Wiley Miller and Tom Wallisch. "The Sun Valley segment is incredible," Fitzpatrick said. "It captures the spirit of Sun Valley and what it's all about and what's to come. The film also includes old clips that cut back to a super jump on Baldy." Fitzpatrick said the day will include some fun features such as a peek at a box feature, which will be on Dollar Mountain this year. In addition, beer and wine will be available as well as an opportunity to interact with filmmakers and others in a fun environment. The evening will end at the Roosevelt Grille in Ketchum with a farewell party at 9:30 p.m.
$10 admission for films and after party. 4:30 p.m. Open House, autograph session and festival short-film submission viewing. 7 p.m. Premiere TGR's "Light the Wick" and later Forum's "F*** It." 9:30 p.m. Whiskey Jacques' in Ketchum welcome party. $15 admission for the day and Roosevelt Grille party. 2 p.m. Open House with autograph session at the Boiler Room and film submission viewing at the Opera House. 5 p.m. Smith edits of "Sawtooth City." 6 p.m. Premiere of Stan Evan's "Say My Name" all-girls ski movie featuring X-Games gold medalist Grete Eliassen, who will be present. 7:30 p.m. Award Ceremony for short-film submissions. 8 p.m. Premiere of Level 1's "Eye Trip" featuring big air sessions on Sun Valley's Bald Mountain at Warm Springs. 9:30 p.m. Roosevelt Grille farewell party.